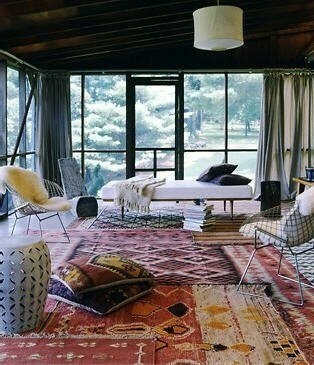 I love the concept of layering pattern and texture in design right now! Remember don’t be afraid to take risks and be sure to vary the scale and direction of the patterns to keep the look from getting chaotic! Thanks Julie for giving me a lesson in "anything goes" when it comes to mixing colors, reflective of your designs, especially the one that you're lying on. © Copyright 2019. Shelter Interior Design. All Rights Reserved.